I do my nails just about every night before I go to bed. People find it hard to believe but, alas, it is true. 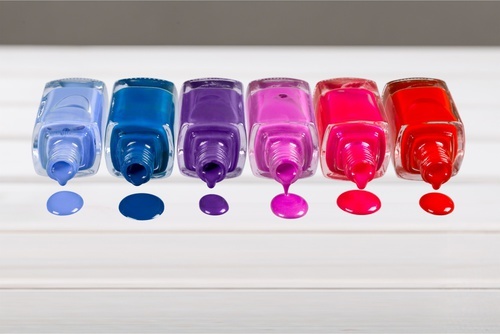 To be honest, I start thinking about colors and my nightly nail therapy around 7 pm and get a jolt of excitement at the prospect. When I tell other women my nightly routine I generally get two reactions – “Wow, but how do they not get ruined?” or “Jeez, why?!”. So, let’s get into how they don’t get ruined in a sec. For now, let’s tackle WHY I do it. 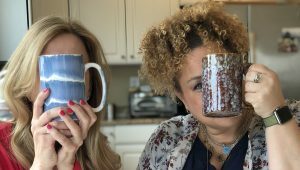 When I was a kid, my aunt, Connie worked in NY and commuted back home to Pittsburgh so she lived with is during the week which was awesome (except the way she woke me up in the mornings, I am still trying to forgive)… She has always been sort of my nail and makeup role model. She had so much cool makeup and nail polish I was enthralled. Even now when I think back to those memories I feel like they have a movie effect of glowing light around them. My mom definitely taught me how to put on polish and walk in heels but my love of makeup and polish came from my aunt. Connie would change her color almost every evening to match her clothes for the next day. She also happens to be a stunningly beautiful woman (like the rest of our blessed family) who in more ways than beauty will always have a lasting impression in my life. So watching her and the change of colors put me in awe of the power of polish. As I got older I found that I mostly change every day for three additional reasons. It relaxes me. I have a husband and three boys. When I say my nails are something that is for me and only me, I mean it. It has become a ritual I do for myself, by myself. Nothing repels the male species faster than the smell of nail polish remover. Also, chipped polish drives me batshit. Women who walk around with chipped nails make me want to scream. There is nothing wrong with bare nails so at least care enough to remove your polish. Your hand is the first thing you extend to a person when you meet. Have the decency to care. I’m not sexist – I feel the same way about men. Groom your hands and nails. As for the question, how do they not get messed up…. sometimes, they do and I just fix it in the morning or if it’s really bad, I will just remove the polish and keep it moving (I do keep the color I am wearing in my bag, and have emergency colors in the car). However, I have been doing this since I was about 15 so have become adept at sleeping without letting my nails touch anything. On a day to day, I try to one coat it and skip the top coat. As you can by now imagine, doing your nails every day does not promote healthy nails but I have a few go-to products that help. No acetone! I’ve never been one for acetone unless I am removing tips or cleaning my saddle shoes in high school. Nail Filing. UGH! Do not file back and forth. Always, ONLY in one direction and use the correct grit. 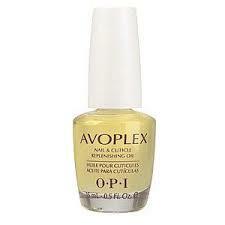 natural nails do not need a heavy grit ever and you do not always need to file. I use a gentle file a few times a week to smooth and even out. Give your nails a break. If you wear tips or gel you should remove everything every few months for a few weeks to a month (or more). One year I had one of those horror stories with fake tips and it took me a year to get them back to normal with the help of the products below which are now my go-to for keeping my nails healthier and stronger. Remover: Mineral Fusion Nail Polish Remover – No acetone and amazingly removes polish much easier than ANYTHING in the drugstore. A little pricey when compared to Cutex brand but worth it. Because I don’t have to use so much it lasts me about a month and a half (of everyday use!). Great for removing glitter as well! There are a lot of similar products out there now which is great but I find them to be a little more difficult in removing stronger colors. Mavala is fantastic but pricey and again, getting that red off is a challenge. 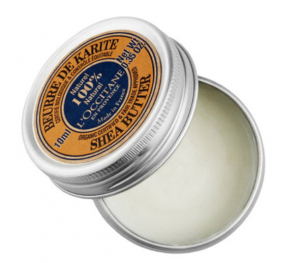 Moisturizer: For daily moisture, recently I have been using L’Occitane 100 percent Pure Shea Butter Mini. It’s for general use but I am using it at least 2x a day on my cuticles. Winter dryness is a real problem for me. 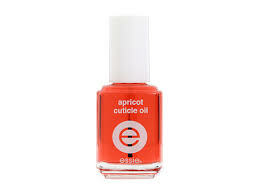 Other recommendations include Essie Apricot oil, OPI Avoplex, and I do really love Mavala products. Additional tip: Use a decent lotion or hand cream throughout the day as well. Base Coat: Honestly, I don’t often use a base coat but know I should. When I do, I use Nicole by OPI 3 in 1. 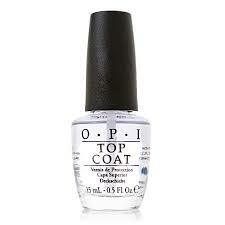 Top Coat: OPI Top coat is great for thickness and shine but doesn’t last as long as Essie. In truth, my absolute fave is Formula X by Sephora or I should say, WAS since they discontinued it. <side eye>. 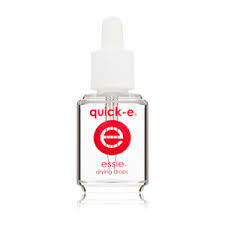 Quick Dry: Essie Quick-E drops. Smells awful but get the job done! Tip: Don’t use this unless you really need it. I believe it contains alcohol and will dry you out if overused. Specialty Products: When my nails run into issues like cracking, peeling, chipping… it happens to everyone. 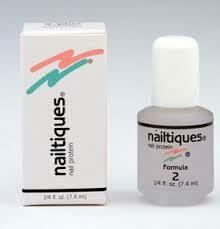 I use Nailtique Formula 2 Protein. Every few months or so I will do this and stop using color for about a week to give it a rest. Otherwise, I use it with color and apply it every day. Meet BelaKharma Community Co-Founder & Blogger, KharmaIsis HERE. Join the community! Visit the SUBMISSIONS PAGE.